Here is my tag for the current Tag You're It challenge. Can you believe how pretty the colors are on the inspiration photo? That purple is just the prettiest! 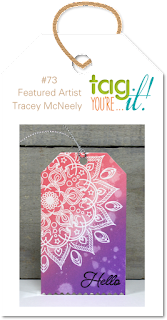 I used Distress Oxide Inks to make my tag and like the inspiration tag, I spritzed the ink with water to get those fun spots. 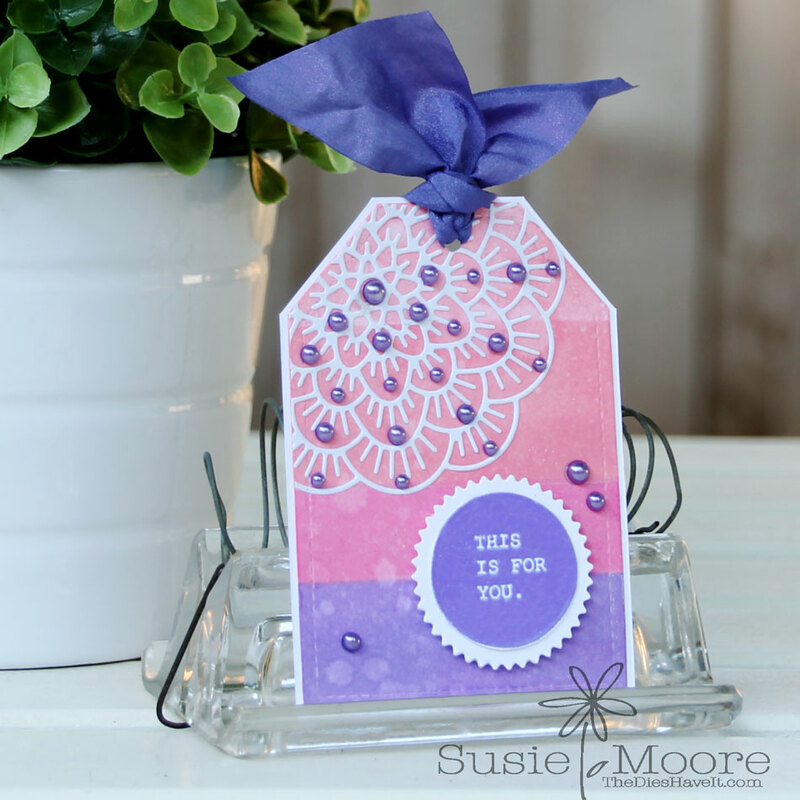 I added a white doily die cut to the top of my tag and then a cute little sentiment toward the bottom. I finished it up with some gems and am happy with the result! Enjoy your day and I'll see you again tomorrow. Lovely tag! The background you made with the Distress Oxide inks is very pretty. 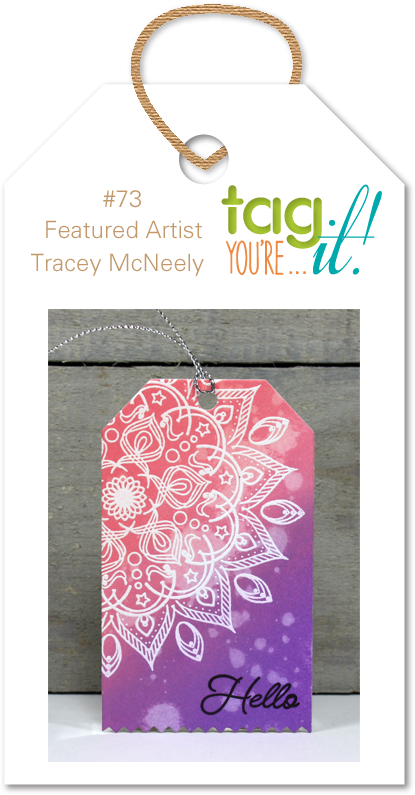 Thank you for sharing Tag You're It! Thanks for joining us at Tag You're It!